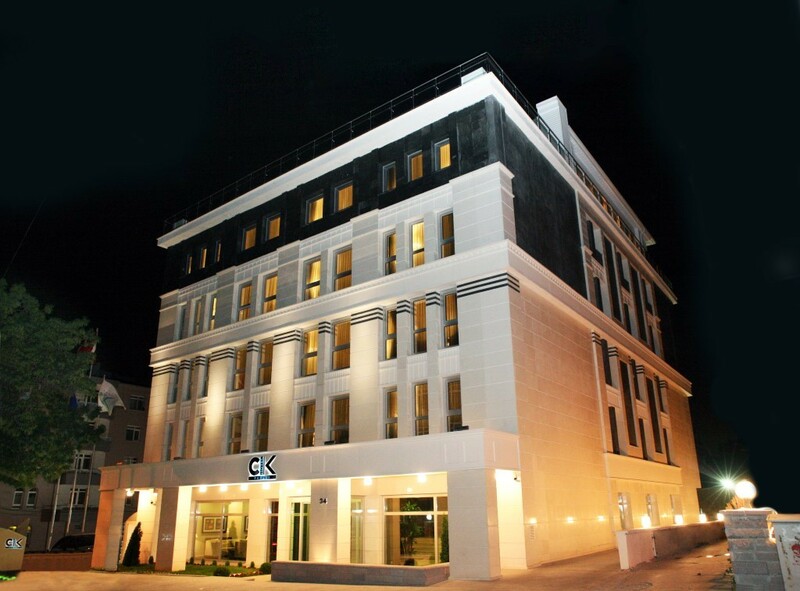 We would like to provide you with a splendid choice with CK FARABİ HOTEL, Iocated in Cinnah Caddesi Farabi Sokak Çankaya-ANKARA, one of the most decent districts of the capital. We invite you to the center of convenience, CK FARABİ HOTEL with its key features like central location , being close to the shopping malls (Karum, Atakule) and embassies, warm environment, excellent service and experienced and friendly staff. Having left the intensity of the day behind, you can welcome your guests in the lobby accompanied with a glass of drink and with some snack in lobby bar. With different tastes and warm atmosphere, Lobby Bar will become merry with you. Before a long and tiring day, what about starting the day with an excellent open BUFFET BREAKFAST İn ck Roof Restaurant accompanied by a cup of delightful coffee? Besides its modern concept of service, out hotel offers you a high quality food and beverage service; rich selection of Turkish and Word cuisine served at lunch and dinner in RoOF Restaurant.